Stainless steel. This material is used primarily for temporary restorations or in pediatric dental settings. Stainless steel is strong and usually requires only one visit. However, it can present aesthetic concerns due to its metallic appearance. A good choice for restoring low-profile molars, alloy crowns are exceptionally durable. Porcelain/metal hybrids. These combine the strength of metal with the natural appearance of medical-grade ceramics. However, the ceramic coating can sometimes chip or wear thin, causing personal appearance issues. Crowns made from this material are less durable than other options. Their chief advantage is their affordability. All-porcelain and all-ceramic. These restorations are virtually indistinguishable from natural teeth. They’re a good choice for people who are allergic to metal. Temporary crowns. These serve as a short-term measure until the permanent version is crafted. Crowns vs. 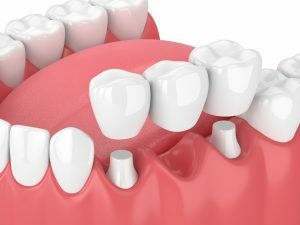 Fillings: Which is Better? Fillings are one of the oldest methods for protecting a damaged tooth and arresting the decay process. But fillings have their share of limitations. For example, they cannot restore the portion of the tooth lost to disease. This is why your dentist may recommend a dental crown instead. Your dentist will anesthetize the area around the tooth to ensure your comfort. He or she will then file and shape the tooth to receive the crown. The dentist may also use a filling material to give the crown greater support. The next step is to make an impression of your tooth. Dental putty is the traditional material used for this purpose. However, some dentists are now using digital scanners to create an image of the affected area instead. Once your permanent crowns arrive at your dentist’s office, you’ll return have the final restoration applied. You’ll probably wear a temporary crown in between visits to guard against further damage to the tooth. How Do I Care for a Dental Crown? Avoid foods like sugary gums and sticky candies, which promote tooth decay and can loosen your crown. Floss using a back-and-forth instead of up-and-down motion to minimize the risk of the crown coming loose. Chew your foods on the side of the mouth away from the crown if possible. Prompt treatment is essential for getting the most benefit from a crown restoration. So don’t put off the procedure. Getting help now is the best way to keep your teeth and gums healthy for years to come. Texas native Dr. Renée Corbitt earned her DDS degree from the University of Texas Health Science Center San Antonio Dental School in 1986. An advocate of lifelong learning, she has completed advanced training in sleep medicine, pain resolution, and dental surgery. You can reach her office online or by calling (817) 294-8821.